Carmina | Zonyxa. Unique and contemporary jewellery for Work. Love. Play. This elegant piece features creamy-orange-brown fire agate in two shapes with a tactile half-moon shaped agate adding a beautiful pendant touch. Wear with a smart outfit or any time you want to feel special! 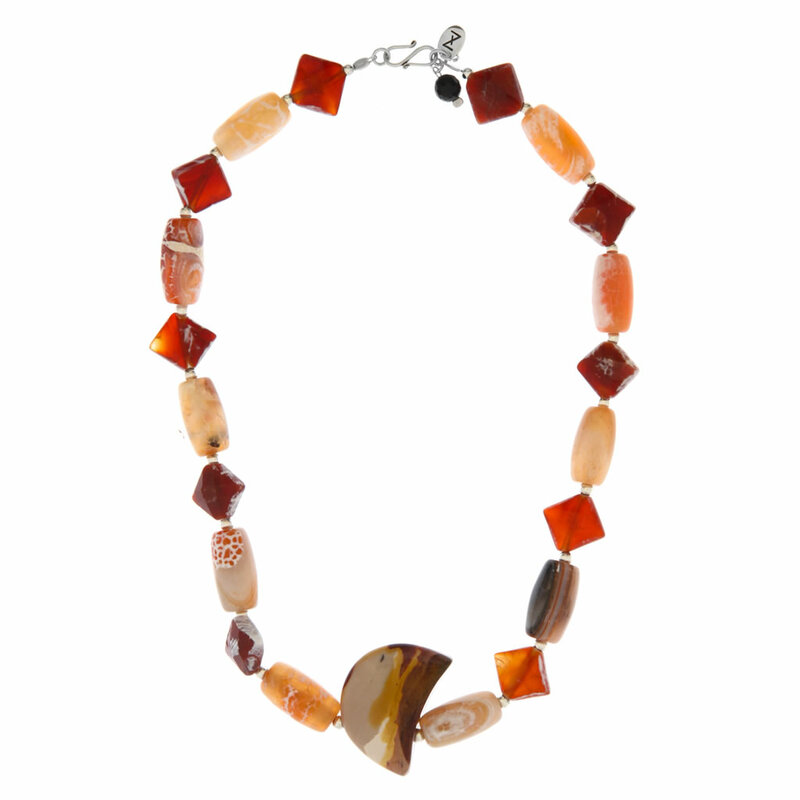 Materials: Fire agate, agate and sterling silver beads necklace.